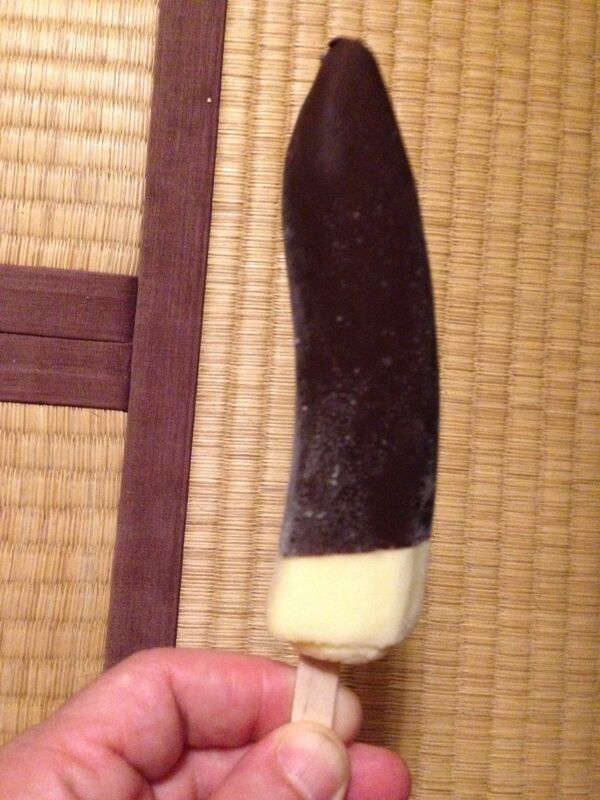 This looks like a Grindr photo, but actually it’s . .
It’s a chocolate covered banana ice cream. Very artificial but tasty. And it certainly reminds you of something else that’s lower calorie.